We are due to return to the much awaited final run in for the Premier League with the title winner left to be decided, the three relegation places to be confirmed and of course the remaining third and fourth CL places hotly contested by four teams. Everyone including journalists are voicing and writing their opinion about who they think will finish in the 3rd and 4th places. But this is backed mainly by their intuition. They have not really sat down to put to paper their predictions nor have they really backed up these predictions with any structured justification. Lets make it clear. The 'computer' I refer to in the title of this post is my personal thinking as to the likely outcomes of the games involving those chasing a top four placing but structured to follow some guidelines. I have made therefore some, what I consider, realistic guiding assumptions regarding the outcome of each team's remaining games. - Any games against the top two will be lost. This affects Spurs the hardest as they have to play both Liverpool and Man City away. Also Man Utd play at home to Man City and Chelsea play at Liverpool. - Any games between the current 3rd, 4th, 5th and 6th teams will be drawn. at home against opponents they are very capable of beating. against Man City and Chelsea. wits for this fixture and Utd will win it. Everton away after their 2nd CL leg against Barcelona. and disappointment from getting knocked out of the competition. and away at Cardiff and Leicester (last game). 4th spot leaving them with a lot to catch up. home games are very winnable. be relegated before the last game). then I predict we will be home and dry. of points and the final placings will be decided on goal difference. 7 behind with 17. This factor may indeed prove decisive. Unfortunately Spurs end up 3rd. I hope I am wrong and we finish above them. It seems that last week's results all went for Arsenal. And this hasn't happened for a long, long time. First was Spurs doing a Spursy and collapsing in the second half at Southampton, loosing a game which they fully dominated in the first half. In fact so unexpected was their capitulation that I was off my arm chair celebrating like any Southampton fan. Then it was Arsenal's turn to move to just one point from them by duly beating and ending Man Utd's recent unbeaten run. And of course Chelsea also duly obliged with what looks like a very damaging defeat at Everton keeping them at a 3 point distance from Arsenal with the same number of games. There are however two more stats that will give hope to all Arsenal fans. These relate to defensive performance, an area where we all feel we need to vastly improve in the coming season if we are to challenge for honours. The first concerns number of goals conceded by Arsenal from set play situations. In fact most journalists and TV commentators are always berating Arsenal's ineffectiveness in this area. They tend to believe the myths they create without doing any research. In fact if you look for the data you will find that Arsenal has the BEST record out of all Premier League teams this season! We have conceded only 4 goals from such situations and the next best team is Liverpool at 6 and then Man City, Spurs, Brighton and Leicester with 7! And the next time we defend a corner don't be so alarmed! The next piece of data concerns the overall goals conceded column. It is a fact that since Koscienly and Socratis returned to the first team our defensive performance has improved no end. Arsenal's goals conceded in the last 10 PL games has been bettered only by Man City. We stand at 0.7 goals conceded per game versus 0.5 by Man City. Liverpool and Man Utd are at 0.8. Our ratio since the start of the season stands at 1.3 per game and the ratio in the 10 games previous to our last 10 stands at 1.7 per game which shows the very significant recent improvement. So in conclusion the team is finding form and momentum at the right time now that the run in is gathering pace. And this momentum is in the one area of the pitch that we really needed to improve. Arsenal's self sustaining financial model requires that a large proportion of any surpluses created can be reinvested back into the club. It therefore minimises the chances of injection of capital by the owner unless of course he opts to do so. Which of course does not look likely. This would have been less of a worry in past times, when the large benefactors, pumping enormous financial resources into a team irrespective of its financial status, did not exist. It was then a much more level playing field. It isn't now and therefore under the current owner our expectations for winning titles must be tethered somewhat otherwise our stress and anxiety levels will reach breaking points. However if Kroenke decides to sell then I believe Arsenal will be ready to attract a major benefactor who will make available the significant resources to allow us to compete on an equal footing. And I say this by looking at the financial position Arsenal is at right now. Kroenke is an investor and not a benefactor. He is not likely to keep his shares in Arsenal for longer than necessary. When no more significant financial growth can be squeezed out of Arsenal he will sell and move on. And this moment will arrive sooner than we think because if you analyse Arsenal's accounts any profits that have been made in the last few years have come mainly from selling of players and not so much from internal recurring operational generation of funds (gate receipts, commercial revenues, TV money). 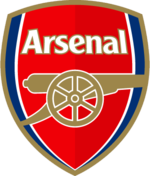 In fact the major substantial increase in the value of Arsenal and its shares has come from the creation of the Emirates and the subsequent paying off of the related debt. So how much more can Kroenke make out of Arsenal? Not a lot more I say. Where have Arsenal's number 10s gone? What has been glaringly obvious is that Arsenal's defence has been its Achilles heel not just this season but at least during the last 10 years of Wenger's reign. Wenger was incapable of correcting it either through new additions or by allowing others more adept than him to coach the defenders. Emery has also done nothing of significance as yet, as Arsenal's defensive record is as bad as Wenger's! Its even starting to get worse but this may be due to injuries of key defenders. Nevertheless the next transfer window should surely concentrate on getting at least two high quality defenders to give the team a strong backbone and a base on which to build a title winning team. But another area that is crying out for reinforcements is in the creative position of a number 10. Please don't tell me that Ozil can play that role. He has failed miserably to justify the hype which followed him on his transfer to Arsenal (except perhaps in his first season) and of course he has failed to provide value for the exorbitant wages of 350,000 per week. This season in particular he has been at best an average player not influencing games (with the exception against Leicester) and hiding in the big games. Surely Arsenal should get rid of him in any way they can. And they should keep Ramsey who can play that role with distinction. Alas he has been allowed to leave at the end of the season. Which begs the question: Where have Arsenal's number 10s gone? If its not Ramsey nor Ozil who will it be? Denis Suarez is coming in this transfer window. But he is a winger who likes to come infield and influence play. You may say that a change of system to a 4 3 3 may be appropriate but doesn't any team need at least one creative midfielder to pull the strings? What I am trying to say is that the next transfer window for Arsenal will have to include defenders AND creative players. Xhaka has received his customary one match ban and now he will miss the upcoming clash against Man Utd. What are the options available? Let's look at Ramsey because due to his incredible performance against Spurs he has shown that he may merit a starting birth in the team. He had a wonderful second half against Spurs and that was because he was played at the number 10 position behind the front two of Aubameyang and Lacazette in a 3 4 1 2 formation. This allowed him to utilise the space between the two Arsenal midfielders and the front two which suits him very well, dropping back to assist the midfield and venturing forward providing support and assists. He will not however be preferred to play alongside the Uruguay terrier against Utd as he is not to be trusted to be disciplined enough to stay put and form a compact duet with Torreira. In any case if he is to really help the team, Emery may opt to either start with the formation and players that finished the game or indeed keep him on the bench and bring him on later on to affect the game, as he did against Spurs. I think it will be the latter. Ainsley Maitland Niles and Elneny are other options and I would love to see AMN start in midfield as I consider that to be his real position in the team. But Emery will most likely opt for Guendouzi. He has shown that big games do not fuss him and displays the capability to both defend and play more creatively with his forward passes. He has of course played in that position for Arsenal and played quite well when he came on a sub against Spurs. Now Emery has a dilemma as to which formation and players will he choose to play against Utd. Does he start as he begun the second half against Spurs i.e in a 3 4 1 2 formation with Ramsey behind the front two (assuming of course that Mustafi will be fit enough to play as he went off on 71 and was replaced with Guendouzi)? Or does he start with the formation that started the game i.e 3 4 3 with Ramsey on the bench and switch later to 3 4 1 2 if and when the need arises. I would expect that Emery will keep the same formation of 3 4 3 he started the NLD as the system worked quite well, with a goal scored and enough chances created to close the game even from the first half. Both Mkhitaryan and Iwobi had a good game both in attacking positions and defending when off the ball. He may however opt to start with Lacazette instead of Mkhitaryan as Laca can be so much more effective and providing a much bigger goal threat than the Armenian as he proved so with Arsenal's third goal on Sunday. Although Utd are not playing well lately and players will be missing through injury this game could prove to be a real banana skin for Arsenal. Firstly we go into this fixture on a high bordering however to arrogance. Most papers who were not giving us a chance against Spurs are now tipping us to roll Utd over just by turning up for the game. Most blogs and other analysts are also creating, what in my mind is, a false atmosphere and optimism. Even Paul Merson is predicting a win for Arsenal. Now this should make us come back to earth and the players need to sit up and shake themselves away from this mind set. Because there is every possibility the Arsenal players will be getting overconfident. And this is a recipe for disaster. I am sure Mourinho will be getting his players up for this game showing them all the pundits predictions. What I mean to say is that we are not likely to repeat that performance we displayed against Spurs. We are playing away and it is not the NLD with all the hallibaloo that accompanies it and so much extra riding on the game.